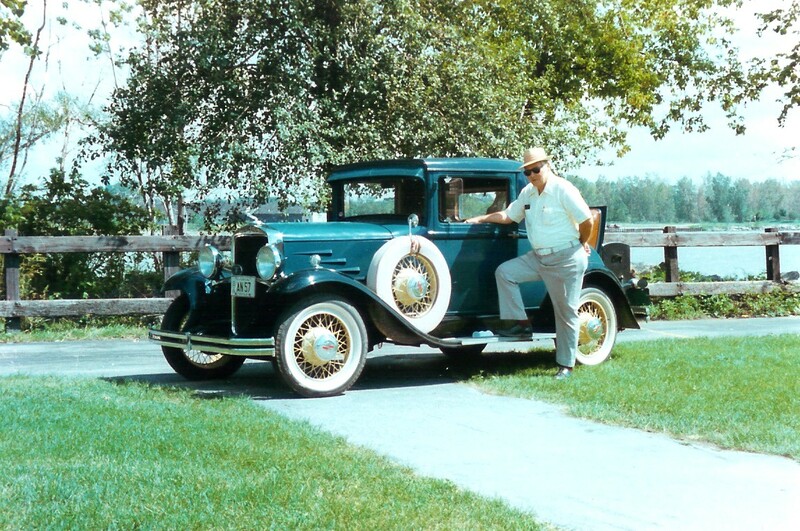 After first restoring a 1926 Model "T" coupe and acquiring a 1931 DeVaux 4-door sedan, my desire for a rumble seat coupe was fulfilled when in October of 1972, a 1930 Durant model 6-14 coupe was listed for sale in Colorado. I made a call and the price seemed fair, so I purchased the Durant sight unseen. The DeVaux has a similar engine and drive train as the Durant, so I felt I could do some changing if needed which helped to make me decide to buy, sight unseen. 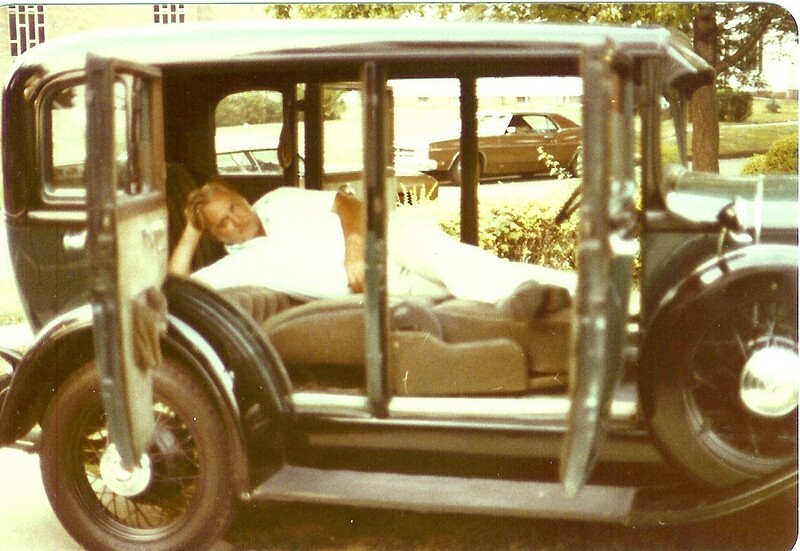 For awhile, I thought I throw my money away, but in December of 1972, the car was finally delivered to my Toledo, Ohio home and I got my first look at my new prized possession. The papers with the car indicated that it had at one time been the property of Harrahs Automobile Collection. After unloading it from the trailer and pushing it into the garage (it was not running), I examined it and found sheet metal in good condition but several parts missing such as hub caps, shocks and bumper clamps, parking lights, oil Filter, windshield riser mechanism, along with incorrect door handles, headlights, window cranks and deck lid handle. The car had the original upholstery and rumble seat floor mat, but these were in bad shape. When I started to dismantle the car, I found that dry rot was evident in a good part of the wood with some places almost beyond use for patterns. With the body removed from the chassis, the work began. The chassis was taken out to be sandblasted and the rear section of the body was removed to permit access to the wood inside. While this work was being done, the upholstery and seats were taken to Carter's Cut and Cover Shop, Box 80, Beardstown, Ill. 62619, to be recovered and have new panels made. Meanwhile, out in the backyard, the chassis was getting a fresh coat of black enamel, the brakes were being relined, old wheel and pinion shaft bearings were replaced, and after some searching, a new axle shaft was found to replace the one that was broken and welded sometime in the cars past. The brake, cables were frozen and new ones were also found to replace them. With the chassis completed and the wood replaced, things were ready to start taking shape again. Rubber windshield channel for 1926-31 Chev from J.C. Whitney 9 1917-19 Archer Ave., Post Office Box 8410 Chicago, Ill 60680, fit well. I also acquired red radiator hose and "T" type door check straps from Whitney. Running boards were made of 1" X 12" rough cut pine and were covered with mating from Restoration Specialties and Supply, 149 Fuller Street, Somerset, PA 15501. I also obtained new pyramid rubber matting, available in black, brown and white from these people for the front and rumble seat floor areas. New interior trim screws and bolts were purchased from Auto Hardware Supply In Bedford, Ohio. The engine was quite worn but I was able to get another in good shape that only required rings and valves. Valve stem oil seals were added. Not having any information on color combinations, the car is painted Washington Blue on the upper body, and Riviera Blue on the lower body with Tacoma Cream wire wheels. In August of 1975, one more Durant was back on the road, and the car was able to bring home a second place trophy from Milan, Ohio later that year. After printing the restoration story of Ray Zenz' 1930 Durant R/S Coupe in Volume 1 Number 1 of The Registry, Ray received this letter from member Norm Miller telling about the history of the car. It was a very pleasant surprise for me to learn that my old Durant has finally been restored. I sold it to Bill Harrah in 1962 for $350 and shipped it to him via railway express. During the time Harrah's put several cars up for auction, I tried to get the car back with a $1000 bid but was unsuccessful. After the sale, I lost track of the car. Then I read the article in The Registry and was happy to see the car at last restored. The car was sold new by the Durant dealer in Kahoka, Missouri. It spent the best part of its life there and was later sold to a cousin of the man I bought it from. It received a coat of primer, but little other attention during this period. I swapped a rough old '34 Pontiac and $25 for it in 1959. The engine ran very smooth, and I used it for several years for a "fun car". I even used it as steady transportation for one summer to go to work. All I ever did was tune it up and replace a couple worn tires. The original Headlamps had been replaced with 1931 Chevrolet lamps, but otherwise the car was quite complete as seen in the picture enclosed. I got the car from Herman Anderson, who got it from his cousin In Kahoka, who bought it from the original owner. The broken axle shaft you mention almost caused the car to be junked. In fact that is why the original owner quit driving it. Herman Anderson's cousin, a Mr. Calvert, bought the car for the $15 junk price. 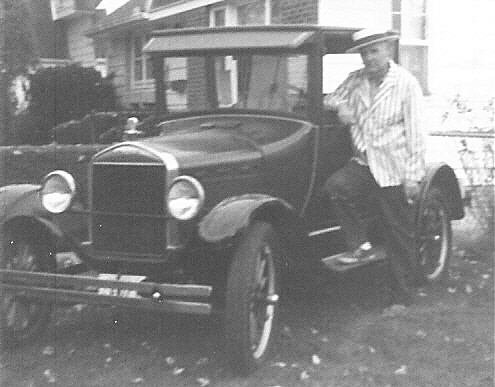 Mr. Calvert had a blacksmith weld the axle, which worked perfectly for many years, and saved the car from the junkyard.